INDUSTRY.co.id - Jakarta - Many people know if Indonesia now has many E-Commerce, there are outside players there are also local players. E-Commerce in Indonesia every year appears like hotcakes. But not a few also closed because of the tight competition and less capital. Especially rumored that Amazon, E-Commerce world's largest market will enter Southeast Asia, especially Indonesia. It is very interesting to observe the development of E-Commerce in Indonesia, who will fall and who will survive. No wonder indeed, because according to Tech Crunch Indonesia will become the largest E-Commerce market in Asia! 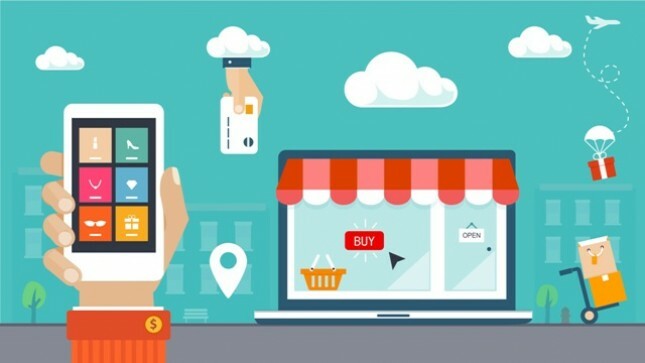 In 2019 E-Commerce Indonesia market amounted to 3800 Billion USD or approximately Rp. 50.640.700.000.000, - (50 Trillion Rupiah). Naturally, if the nominal will be much contested the following E-Commerce players. Tokopedia was launched on August 17, 2009 by William Tanuwijaya and Leontinus Alpha Edison. The concept of tokopedia is as a connector between sellers and buyers in Indonesia. There is no penny charge that Tokopedia is required to join as a member, be a seller or buyer. Business model used Tokopedia is C2C (customer to customer). Tokopedia does not have its own warehouse for the sale of each item. All goods are managed and shipped directly by the seller to the buyer, without Tokopedia intermediaries. This means that Tokopedia only provides a platform to meet sellers and buyers. The difference is, to protect buyers from fraud, Tokopedia provides a payment platform. The buyer pays indirectly to the seller but via prebar Tokopedia. If the receipt of the transaction has been accepted then the seller will get the payment. The concept of OpenLapak is almost the same as Tokopedia, they provide a platform to bring together sellers and buyers. Likewise their business model based on customer authentic and premium features that can make it easier for sellers to sell their goods. Differences with Tokopedia, since last few months, OpenLapak sells gold through Bukamas and mutual funds through OpenReksa. Compared with other E-Commerce in Indonesia, Lazada arguably ranks third. In Alexa, they rank below Tokopedia (8), OpenLapak (12), and then Lazada.co.id (14). Actually above Lazada there is FJB Kaskus (13), but the ranking does not describe FJB KasKus only, but KasKus as a whole. If you often watch the game Badminton Indonesia. Blibli is not an alien name. Blibli's name for the last few years has always been attached to the Indonesian Badminton athlete shirt. In addition, if you return from Jakarta to Bandung at night via the purbalenyi expressway you will see the logo of Blibli ad in Holywood style. Back to Blibli, according to Alexa, Blibli occupy 41 Indonesians. Below Lazada, OpenLapak, and Tokopedia. Blibli was established in 2011 through PT. Global Digital Niaga which is a subsidiary of Djarum Group. Elevenia was launched on March 11, 2014 under PT XL Axiata in collaboration with SK Planet of South Korea. Alexa Elevenia Indonesia Ranking is 53. Just like the above E-Commerce, the diverse products, service, and convenience are the selling points of Elevenia. I myself have seen firsthand that their Customer Relationship is very active in social media; they are very responsive in responding to any complaints of their customers. Blanja is an E-Commerce with a rating of Alexa Indonesia 109. Blanja formed in 2012 under the name of the big name cooperation of Telkom and eBay. EBay's reputation is a great proof that Blanja is not a mediocre E-Commerce especially supported by Telkom which has a big market in Indonesia. MatahariMall is an E-Commerce that appeared early in 2015, founded by Lippo Group. It is rumored that Lippo Group is investing 500 million USD (6T ~ Rupiah)! Business model MatahariMall is O2O (online-to-offline and offline-to-online). This business model allows their customers to sell or take stuff offline in all department stores Sun. Bhineka.com is practically the pioneer of E-Commerce in Indonesia, founded by Hendrik Tio and colleagues. Before E-Commerce was as busy as this, Bhineka was first formed. Bhineka.com established since 1999. No wonder if Bhineka is widely known by the people of Indonesia. The growth of E-Commerce in Indonesia certainly also affect the Bhineka, reportedly their customers increased 2x in 2012 and 2013. Bhineka.com is known as E-Commerce which sells gadgets and other electronic appliances. Its excellent service and price not so far away with the offline market make Bhineka persist and much preferred. Beyond Bhineka.com, they also open stores offline in Jakarta. In Indonesia Qoo10 launched April 2012, currently Alexa Qoo10 ranking is 755, this rank is even very jomplang than Tokopedia and OpenLapak. But we do not know the future will be how, given the Qoo10 marketing not as much as they are. Looking at the big capital, it will probably not be long before Qoo10 will compete with other E-Commerce players in Indonesia. Before E-Commerce was as busy as it is now, FJB Kaskus provides even pirated goods! then FJB Kaskus is its underground market Indonesia. Unfortunately, with the increasingly crowded E-Commerce FJB kaskus little by little began to be excluded.